The surface texture on a part or mold tooling can be a decorative decision of the product designer, but it’s also a critical aspect of mechanical function and performance. Knowing exactly what surface texture is and how to describe it will eliminate confusion and help you to articulate the best method of manufacture for your application. Surface texture describes the topography of a solid at the junction where it touches another solid or the ambient environment. It is composed of three parameters, in descending order of scale: lay, waviness, and roughness. 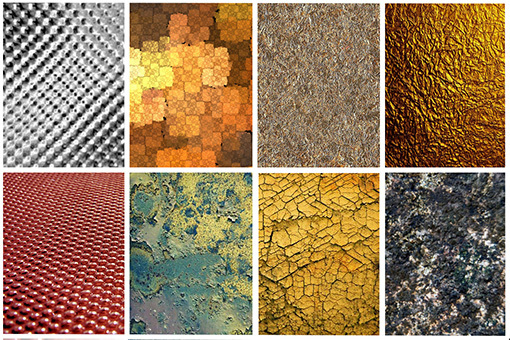 Why Should You Care About Surface Texture? More than just a pretty face, the surface of a part effects friction, lubrication, corrosion, heat transfer, mass transfer, wear, adhesion and many other mechanical functions. Cosmetically, surface textures can be made to mimic other materials, like leather or wood grain patterns applied to plastic injection molds. 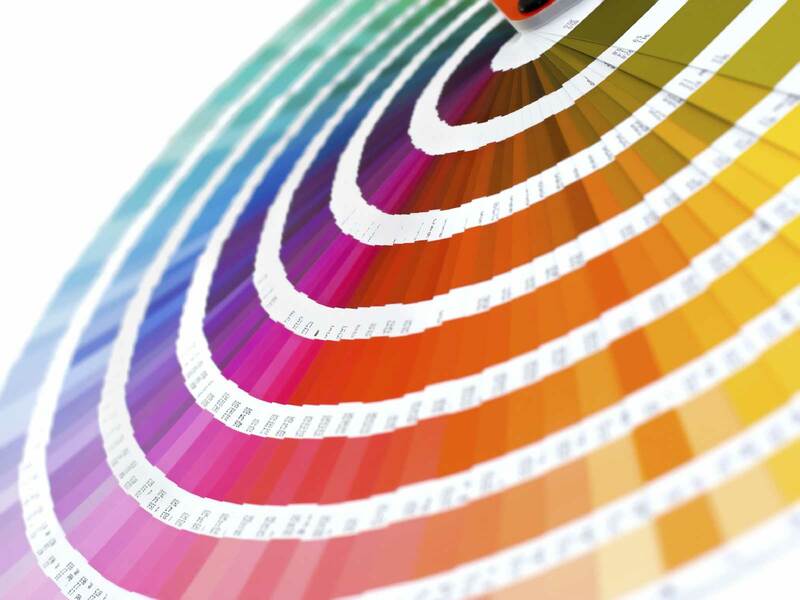 Textures can be used to disguise parting lines and hide other defects, to improve grip, or to create a distinctive “look” for brand identity, among many other considerations. This is especially relevant when using CNC cutting tools. As the cutter head moves across the surface of the workpiece, chipping away material as it goes, it will impart directional marks. Lay, therefore, is the predominant direction in which those marks have been made, and is a function of the characteristic movement of the machine tool. 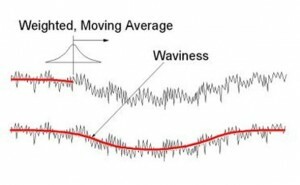 In the middle of the scale of measurement, waviness is the cyclical or periodic deviation from a perfect, flat plane. Also characteristic of machine tool movement over a workpiece, it is usually associated with the “speed and feed” of the cutting tool, but it may also indicate vibration in the machine, guideways that are out of true, or eccentricity in bearings among other causes. Few subjects in our experience cause more potential misunderstandings with our client partners than that of roughness and how to describe it. Roughness is at the finest scale of measurement and is caused by the interaction of the cutting tool or an abrasive at the surface in a more random, chaotic fashion. Roughness is usually specified with a value called Ra. 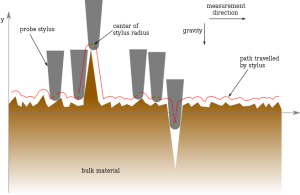 This is computed by measuring a given sample length with a fine probe or stylus called a surfometer, perpendicular to the lay of the surface texture. From this is calculated the average height deviation from a nominal flat line. The lower the Ra value, the flatter or finer the surface is said to be. 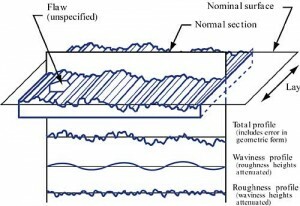 The interaction of these three parameters can be more clearly seen below in this diagram. Is Ra All You Need To Know? Roughness gauges are commonly used to show samples of different Ra values for comparison, but you can clearly see that different CNC cutting techniques will leave different patterns on the work surface, although the Ra values may be the same. Remember, Ra only tells us about random, non-directional high points above the average plane of the surface. There are many ways to manufacture a part which will achieve the same value but leave quite distinct surface finishes. We advise whenever possible to provide a reference sample or to consult with one of our experts to confirm your choice of surface texture before commencing with a quotation or production. Learn more about how we measure Ra here, and check back soon for a closer look at how we apply different textures to get exactly the finish you want on your project. You can also contact us now for a free quote.